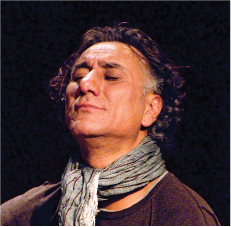 Iraqi-born, Grammy Award-nominated oud virtuoso and composer Rahim AlHaj gives voice to the unheard and vulnerable with his 2017 Smithsonian Folkways recording Letters from Iraq, a poignant telling of war, aftermath and consequences. For this Global Fridays presentation, AlHaj and members of the Michigan Philharmonic paint musical scenes of devastation, pain, redemption and hope from the upcoming recording. The Michigan Philharmonic, a fully professional orchestra under the direction of Music Director and Conductor Nan Washburn, performs concerts throughout Southeast Michigan. The orchestra has earned five ASCAP awards from the League of American Orchestras for Adventurous Programming.